Imlil, Imenane and Azzadene are three neighbouring valleys, which offer an authentic experience with breath-taking nature and charming Berber culture. 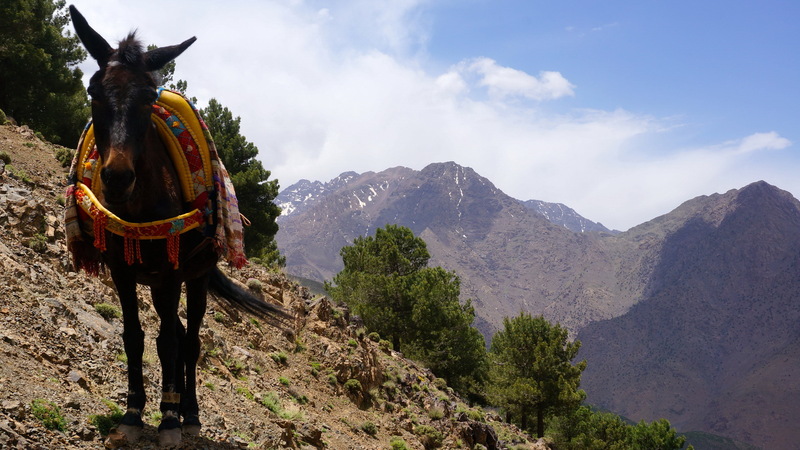 This great walk up and down the hills is perfect for catching a glimpse of the traditions and customs of day to day life of the farming and herding Berber communities. We start our walk from Aït Aïssa and walk towards Tizi Oussem village (1900m). From there we reach Tizi Mzik mountain pass(2400m) and descend to the village of Mzik where we have lunch near the village before arriving back in Imlil. Then transfer back to Marrakech. Approx. 4 hours walking time.